Le’Veon Bell finally has a new home and a bunch of big names got traded. What will happen next? This year’s class of available players is loaded with talent, though most of it comes on the defensive side of the ball. Pocket-crumpling pass rushers like DeMarcus Lawrence, Jadeveon Clowney, and Frank Clark all received the franchise tag and will be staying put. Versatile safeties like Landon Collins, Earl Thomas, and Lamarcus Joyner all cashed in during free agency. 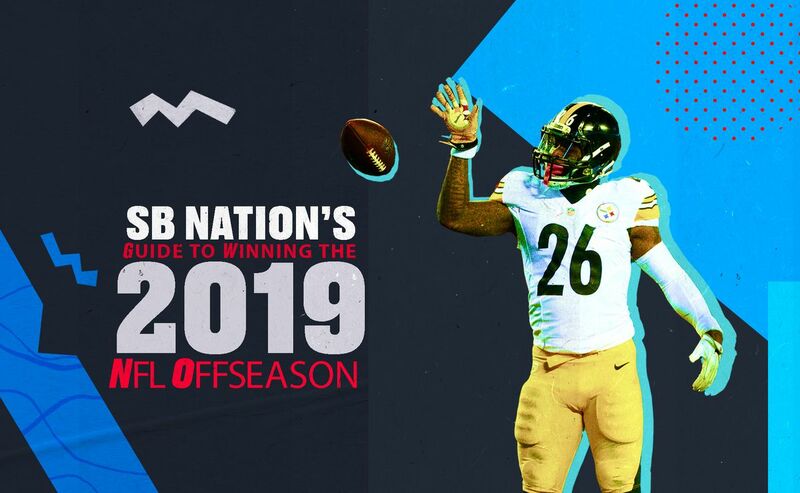 From the top 100 free agents, to mock drafts, to scouting reports, we’ve got everything you need to get through the offseason, all in one place. There aren’t as many recognizable offensive standouts in this year’s list of available players, but the headliner is big enough to make up for a lack of depth behind him. Le’Veon Bell finally earned unrestricted free agency after two years of Steelers’ franchise tags, one of which the three-time All-Pro played an Uno “skip” card. The 27-year-old tailback got to choose where he’ll like to play next as he searches for the massive multi-year deal that includes the guaranteed money he couldn’t find in Pittsburgh — and he picked the Jets. Even though there are many big playmakers hitting free agency, a couple more could be available via trade. The Steelers traded Antonio Brown, while the Giants sent Odell Beckham Jr. to the Browns. Ajayi only played in four games last year due to injury, but he’s just 25 and has been productive when healthy. He has a visit lined up with the Colts. Alexander has missed 14 games the past two seasons, but that’s not scaring off the 49ers. General manager John Lynch is set to make him the highest-paid inside linebacker in the game with a four-year, $54 million deal. The day after he was officially released by the Patriots, Allen visited the Ravens. The veteran tight end is also drawing interest from the Bills and met with the Lions and Dolphins as well. The #Dolphins and TE Dwayne Allen agreed to terms on a 2-year deal worth $7M, source said. A nice payday for a locker room leader and good guy. But instead of moving back to New England, Amendola picked the Great Value version of Bill Belichick’s team — he’ll reunite with Matt Patricia by signing with the Detroit Lions. The deal is a one-year pact worth up to $5.75 million. Ansah played in just seven games last season and is recovering from shoulder surgery, so he has received a ton of interest on the market. Still, the 30-year-old pass rusher met with the Bills and will next visit the Saints. Plot twist! LB Anthony Barr has decided to agree to terms to remain with the #Vikings, sources say. He will not be a member of the #Jets after all. The Jets have long been a favorite to land Bell’s services, but after the combine, the Ravens emerged as another strong contender. The Raiders, who famously acquired Bell’s former Pittsburgh teammate Antonio Brown, are also in the mix. The Colts, however, are not. With Anthony Barr spurning the #Jets, they have some extra money. I’m told they’ve taken some of that money and made a last and final big offer to Le’Veon Bell. It’s decision time for the ex-#Steelers RB. Former NFL receiver Antonio Bryant says that Bell has made up his mind, though the team is still TBD. It’s likely down to the Jets, Ravens, ... and maybe the Raiders? The #Jets have given Le’Veon Bell a deadline to decide if he is going to sign or not, per sources. They’re not waiting forever. If he doesn’t land in New York, there’s reportedly a list of teams waiting for the price to drop so they can jump in the mix. 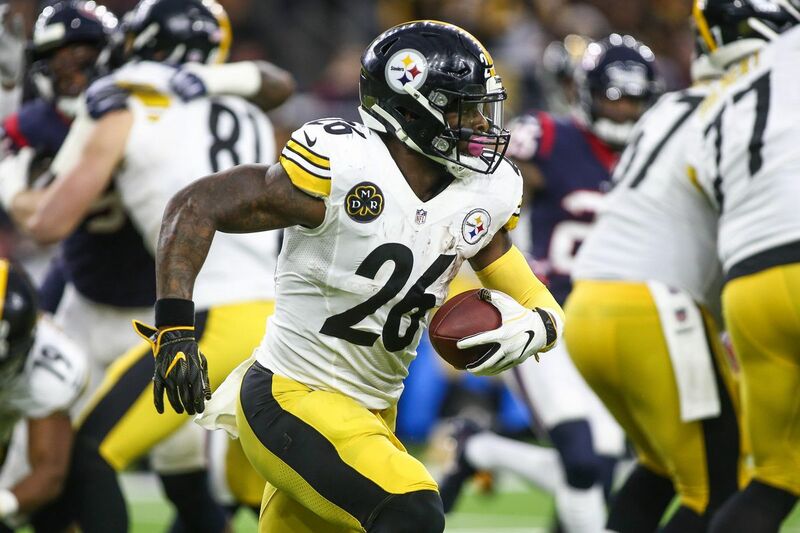 ESPN's Chris Mortensen suggested some NFL teams are waiting to pounce if Le'Veon Bell's price comes down with market slower than expected. "I know some teams that are waiting to jump in there at a lower market value." Michael and Martellus Bennett always have wanted to play together. Now that the Patriots are trading for Michael, Martellus is interested in coming out of retirement to join his brother in New England, per a source. Then would be the McCourty and Bennett Bros. in New England. The Patriots also have an open spot at tight end after Dwayne Allen’s release. Michael Bennett isn’t buying it, though. Shortly after free agency officially began, the Chiefs announced the release of safety Eric Berry. It’s a surprising move simply because he leaves the Chiefs with $14.95 million in dead cap. Berry has only played in three games over the past two seasons, but before that, he was one of the league’s best safeties since being selected in the first round by the Chiefs in 2010. The Cowboys were unable to sign Earl Thomas, but they could find solace in another former All-Pro in Berry. Foles’ impending arrival in Florida means the Jags have to do something with Bortles — and paying him $21 million to serve as a backup isn’t in the card. After the team signed Nick Foles, the former No. 3 overall pick was released, leaving him free to sign with any other team in the league. He only needed one free agent visit to find his new home — he’ll back up Jared Goff with the LA Rams. One report said that Bridgewater wasn’t out of the running for the Jaguars’ job, though that ended up going to Nick Foles. He reportedly turned down a more lucrative offer to compete for Miami’s starting role to remain in New Orleans as Drew Brees’ eventual successor, but that’s still TBD as well. One reason that he might be hesitant to stay with the Saints: The rumor that Sean Payton could replace Jason Garrett in 2020. Bridgewater visited the Dolphins at the start of free agency, though he left without a deal and ended up re-signing with the Saints for a year. Brown is one of the hottest offensive linemen available in 2019, and he’s not expected to linger on this year’s open market. Teams expect him to decide on a new contract in advance of Wednesday’s official start to free agency. So far, the Raiders look like the early favorite, although Ian Rapoport also mentioned the Texans as a possibility. Indeed, it was the Raiders who jumped up with a big offer — one Brown intends to sign Wednesday afternoon. Former Patriots’ OT Trent Brown intends to sign a four-year, $66 million contract that includes $36.75 million guaranteed with the Oakland Raiders, per source, making him highest paid OL in NFL history. Bryant tore his Achilles days after signing with the Saints last offseason. As they’ve said all along, they’re interested in bringing him back. Washington hasn’t been able to re-sign the player it traded for midway through the 2018 season. Now it’s in danger of losing him to the Bears, who need a replacement for Adrian Amos. Shortly after Clinton-Dix’s visit in Chicago, he signed with the Bears. The versatile veteran could wind up filling a major need with the. Cowboys. He’s taking a visit to Dallas March 18. It must have gone well, because Cobb signed a one-year deal with the team the following day. As one of the youngest, top running backs to hit free agency, Coleman should have a few suitors. One of them is the tailback-needy Eagles, but he decided to reunite with Kyle Shanahan in San Francisco. The Browns were unable to find a trade partner to offload their high-priced inside linebacker, so they decided to release him instead — saving more than $9 million in cap space in the process. The 28-year-old now heads to free agency, where he can be a valuable, if limited, presence in the middle of the field. Collins is headed for free agency, which in retrospective, shouldn’t be a surprise. The safety reportedly packed up much of his locker in northern New Jersey in February. ESPN’s Josina Anderson’s sources suggested he doesn’t expect to be with the club in 2019, while the New York Post’s Paul Schwartz refuted those reports. Collins himself checked in to make it clear he wasn’t entirely thrilled about the idea of playing for New York under a tag. Collins was reportedly prepared for a long contract standoff if he got tagged this spring — possibly long enough to last into the 2019 season. The Giants could’ve kept him in white and blue with the franchise tag at a cost of just over $12 million for 2019. However, despite contract talks between the two sides, the Giants let Collins walk. Now, the Giants’ loss is another team’s gain. The Chiefs reportedly are high on the idea of adding the three-time Pro Bowler. The Cowboys, however, are not. Collins ended up staying in the NFC East, signing a huge deal with Washington. Cook is expected to sign with New Orleans, giving Drew Brees a third dynamic weapon alongside Michael Thomas and Alvin Kamara in 2019. The Ravens signed the veteran receiver to a three-year deal last March, but they’re releasing him after just one season. He finished 2018 with just 54 catches for 607 yards and three touchdowns. That’s not much production and Crabtree will be 32 at the start of next season. Still, this isn’t a deep year for free agent receivers. Crowder’s dynamic play from the slot was underutilized in a bad offensive season for Washington. He’ll work to rebuild his value after signing with the receiver-needy Jets. Cyprien’s disappointing run in Nashville will come to an end this spring. The Titans plan to release the run-stuffing safety after two seasons and only 10 games with the club. The move will create nearly $5 million in salary cap savings and clears Tennessee to re-sign him at a lower price in 2019. At least a couple teams are interested in the 28-year-old corner, including the Giants and 49ers. But he’s staying in Indianapolis on a new three-year deal. Fitzmagic is staying in Florida. But he’s making his way back to the AFC East, this time with the Miami Dolphins on a two-year deal. Foles voided his mutual option for the 2019 season, but the Eagles could have still use their franchise tag to retain his rights. They won’t, though, allowing him to become an unrestricted free agent this spring. The Jaguars were always the favorites to sign Foles, but one report says the Giants could be interested too. During the NFL Combine, one report said the Jaguars were the only team with real interest in Foles. Now, they’re signing him. For a tremendous amount of money. Flowers will hit the free agent market this spring, as the Patriots don’t intend to use their franchise tag on him or any player in 2019. He then reunited with his former DC, Matt Patricia, in Detroit. Fowler has yet to live up to the pre-draft pedigree that pushed the Jags to draft him with the No. 3 overall pick in 2016, but that hasn’t scared away potential suitors this spring. The Jets and 49ers are both reportedly lining up offers for the 24-year-old pass rusher. But the Rams ended up keeping Fowler, who played well once he was traded to LA, on a “prove it” deal. The once-rising wideout won’t return to Carolina for his fifth season in the league. The former Michigan star failed to follow up on 2017’s breakout 840-yard campaign, but a change of scenery could be all he needs to get back on track as a starting receiver. He’s getting a one-year deal with the Colts that could pay him up to $13 million. The ageless Gore finished 2018 on injured reserve, but that didn’t stop his season from proving he’s still got plenty of gas left in the tank. The Bills are dealing with their own veteran tailback in LeSean McCoy, but they’re allegedly interested in keeping Gore in the AFC East. A one-year, $2 million deal ensured Buffalo would have the league’s oldest tailback platoon. The Niners used their franchise tag to retain Gould, who led the league in field goal percentage after making 33 of his 34 attempts in 2018. Griffin is a free agent, but he’s interested in staying with Baltimore to support second-year quarterback Lamar Jackson as the team’s backup in 2019. Hankins continued his streak of excellent play in the middle last fall, and that caught John Elway’s eye. The Broncos were interested in adding him to their stable., but Big Hank ended up staying with the Raiders on a new two-year deal. Shortly after his release from Jacksonville, Hyde already has a free agent visit lined up. The veteran back met with the Chiefs. Chiefs are giving former Jaguars’ RB Carlos Hyde a one-year, $2.8 million deal - $1.6 million of which is guaranteed, per source. He’ll now hit free agency, where the Ravens are interested — and then landed Ingram on a three-year deal. The Jaguars parted ways with their prized free agent acquisition of 2016 to get some salary cap relief. Immediately after his release, Jackson drew interest. According to Pro Football Talk, the Packers were one of the finalists for the 2017 Pro Bowler. Instead it was the Eagles that nabbed Jackson on a three-year, $30 million deal. The #Eagles are expected to sign DT Malik Jackson on a 3-year deal worth $30M, source said. The deal isn’t agreed to yet, but it is getting there. Former Dolpins’ OT JaWuan James intends to sign a four-year, $52 million deal that includes $32 million guaranteed with the Denver Broncos, per source. James will now be the highest-paid right tackle in the league. Jarrett is staying in Atlanta in 2019. The problem-solving defensive mainstay signed his franchise tender for the upcoming season, locking him into at least one more year with the Falcons. The oft-injured former first round pick is drawing plenty of interest after being released by the Texans. He visited the Bills, Browns, and Jets in his quest to find a new NFL home. He’s set to sign with Buffalo, pending a contract review. A year after getting the franchise tag from the Rams, Joyner instead will hit the open market as one of the top safeties in a crowded market. It didn’t take long for him to land a deal, though. He’s joining the Raiders on a four-year deal. That didn’t happen. Lawrence, to his displeasure, got the franchise tag yet again. He has already said he won’t sign the tender, meaning the two sides have until July 15 to reach a long-term deal or things will get ugly in Dallas. NFL Network’s Jane Slater also said Lawrence felt “disrespected” by what has happened. You know what’s a good cure for disrespect? A nine-figure contract. Lawrence is expected to re-sign with the Cowboys on a five-year deal worth more than $100 million. Mathieu is one of the most dynamic playmakers at the safety position, and the Texans want to bring him back. Unfortunately for them, it doesn’t seem like that’s happening, as Mathieu is joining the Chiefs on a three-year, $42 million deal. The rangy inside linebacker will get the opportunity to test the waters of free agency this spring. Baltimore won’t use its franchise tag to retain Mosley, though that doesn’t mean he won’t be back with the team. They are currently trying to re-sign Mosley to a long-term deal, and have “sweetened their offer” to him, but the two sides haven’t agreed to anything yet. No matter how sweet that offer was, it probably didn’t touch the Jets’. New York reset the inside linebacker market by inking Mosley to a five-year, $85 million contract that pays him over $4m more annually than Carolina’s Luke Kuechly. The 29-year-old Murray will serve as Mark Ingram’s replacement/Alvin Kamara’s complement in New Orleans. He signed a four-year deal with the Saints. With Antonio Brown and Tyrell Williams on board, the Raiders said goodbye to Nelson after one season. The soon-to-be 34-year-old was the most productive receiver for Oakland in 2018. He’s got a visit with the Seahawks coming up soon, but there are several suitors interested in his services. The Dolphins were expected to release the former first-round pick. Parker had his least productive season as a pro in 2018, making only 24 receptions in 11 games. Instead, they’re giving him a new two-year deal worth $13 million. New England’s Swiss Army Knife is headed to Chicago to give the Bears the league’s deadliest special teams tandem. Patterson will team with Tarik Cohen in the NFC North after signing a two-year, $10 million deal with Chicago. After trade for Odell Beckham Jr., Browns’ GM John Dorsey and agent Drew Rosenhaus mutually agreed to not to follow through on verbal agreement with WR Breshad Perriman, per @mortreport and me. Perriman now will sign a one-year, $4 million deal with Tampa Bay, per source. RB Adrian Peterson just called me and told me "I am going back to the #Redskins. It will be a 2-year deal. I feel like we made some good moves to get to where we are trying to go." The Giants made a major move to overhaul their o-line by trading for Kevin Zeitler, but decided Spencer Pulley did well enough in his lone year in north Jersey to stick around. The club signed the former undrafted free agent to a three-year deal. Richardson’s solid season in his first year away from New York earned him a three-year, $39 million contract to add some veteran punch to the middle of the Browns’ defensive line. He’ll join Myles Garrett, Olivier Vernon, and Larry Ogunjobi to form one of the AFC’s fastest-rising pass rushes. The former No. 2 overall pick will re-sign with the Browns after putting together one of the best seasons of his maligned career in Cleveland. Roby said he turned down offers from the Steelers and 49ers to take the “prove it” deal with the Texans. Saffold is scheduled to become a free agent and the Rams are not expected to re-sign him due to their limited cap space. Rams GM Les Snead said that Saffold would be too “expensive” for them to retain. That made him one of the more coveted players on the free agent market, given how rarely high-end offensive linemen become available. The Titans snapped him up on a four-year deal. Green Bay is adding an underrated punch to its pass rush. The Packers reportedly scooped Smith away from Baltimore after his breakout 8.5-sack season with a multi-year deal. Suggs is coming back for a 17th season, and possibly his first outside of Baltimore. The Ravens are interested in keeping the veteran leader around, but instead, he’s signing with the Cardinals. The Rams acquired Suh on a one-year deal last season and it paid off, though not with a Super Bowl win. And now that the one-year rental is done, the Rams plan to let Suh hit free agency to test his market. One report says he wants to play for a West Coast team. Tate may be the top option on a limited list of free agent wideouts, and he’s interested in catching passes from Tom Brady. New England needs to replenish its receiving corps, but Bill Belichick’s bargain hunting ways kept the veteran WR from being a realistic option in Foxborough. Tate ended up not too far away, with the Giants, who were suddenly in need of a No. 1 WR. The Dolphins are expected to move on from Ryan Tannehill and draft a quarterback this year. That leaves an opening for a veteran quarterback to either start or to mentor the rookie — something Taylor is familiar with after his season in Cleveland. So it shouldn’t be a surprise that the Dolphins have interest in the 29-year-old. Thomas, a Texas native, has been linked to the Cowboys ever since becoming disillusioned with his place on the Seahawks’ spending sheet. He may not be able to earn what he feels he’s worth in Dallas, either. The Athletic’s Calvin Watkins reports a Cowboys’ source doesn’t see the team as more than “bargain shoppers” when it comes to the All-Pro safety. Let’s clear this up now. A source tells @TheAthleticDFW Cowboys have no interest in Earl Thomas or Landon Collins. The financial price is too steep. This isn’t new news. Now Cowboys also have no interest in Eric Weddle either. Price is everything. Following Tyrann Mathieu’s signing with the Chiefs, the Texans were sniffing around Thomas. But they’re out of the bidding after signing Tashaun Gipson. There was talk about Thomas joining the wave in Cleveland, but that’s not going to happen. He is coming to the AFC North, however: Thomas signed a big-money contract with the Ravens. The former first-rounder, but oft-injured, Verrett is getting some attention on the open market. He has visits lined up with the 49ers, Texans, and Chiefs. He ended up staying in California on a one-year deal with the 49ers. In one of 2019’s more surprising cuts, the Ravens got out of the Eric Weddle business. The veteran defensive back put together another strong season at age 33 last fall, earning a Pro Bowl berth and rating out as Pro Football Focus’s 10th-rated safety. It didn’t take him long to draw interest elsewhere. Three days after his release, Weddle agreed to a two-year deal with the Rams worth up to $12.5 million. Following four seasons with the Chargers, Williams will play for a new team in 2019. He could’ve found himself in the AFC North, considering the Browns and Steelers are both interested in his services. The veteran middle linebacker is staying in Seattle. Persistent rumors that Beckham could be traded are a little odd considering he received a lengthy extension from the Giants just before the 2018 season began. But Jay Glazer told The Athletic he believes the receiver will get dealt before the 2019 season gets started. Via @JosinaAnderson on NFL LIVE: there is an AFC North team that as recently as today continues to inquire on Odell Beckham, Jr.'s availability and discussions have remained ongoing. Perhaps it’s the Browns again? All this smoke doesn’t necessarily mean a fire, though. Oh wait, never mind. Because it DID happen. OBJ got traded to the Browns. Soon after signing Brandon Graham to an extension, the Eagles sent feelers out to the league about Bennett. The veteran defensive end has a $7.2 million cap hit for 2019. Bennett told NFL Network that not only would he not be willing to take a pay cut, but that he actually wants a raise. That meant that Bennett likely wouldn’t be back with the Eagles, whether that be a release or a trade. It was the Patriots that stepped up to get the deal done. The trade is expected to move the Eagles up from the seventh-round to the fifth-round in the 2020 NFL Draft. The writing is probably on the wall for Berry. The safety has missed 29 games the past two seasons, and the Chiefs signed Tyrann Mathieu in free agency. But it’s still possible the Chiefs trade Berry rather than release him. And guess who has an open spot at safety? Hearing rumors that John Dorsey and Browns could be making a play to pluck Eric Berry out of Kansas City. Normally I'd ignore those rumors, but after the events of last night, this is another one I'll be keeping an eye on. However, the Chiefs ended up releasing Berry. Brown’s tumultuous tenure in Pittsburgh appears to be on its last legs after he formally requested a trade this winter. Now the Steelers are fielding offers and preparing to turn the team’s receiving corps over to JuJu Smith-Schuster. After originally ruling out AFC North rivals and the New England Patriots as trade partners, Colbert now appears willing to trade Brown to any team willing to meet his asking price. The Saints and Raiders are two clubs that cropped up on the horizon as the Steelers embark on their journey to trade Brown. ESPN’s Josina Anderson reports the market has shrunk down to one club that’s willing to meet the Steelers’ asking price. Interesting take on Antonio Brown market from a league source, as of early this morning (in their opinion): "one team race...I think the other teams decided the price was too high." Just over a day later, Brown finally got what he wanted and was traded to the Raiders, who are making him the league’s highest-paid receiver again. The Raiders have three first-round picks, including the fourth overall selection, if there’s a quarterback they like in this draft class. The Chiefs used their franchise tag on Ford, but they’ve been open to trading their 2014 first-round pick. If a trade partner didn’t emerge, he’d stay in Kansas City and play 2019 under the tag. The Packers and 49ers have both expressed interest in the pass rusher, and the 49ers worked out a deal to land Ford. Steelers OT Marcus Gilbert traded to the Cardinals, per source. It’s gonna be a busy offseason in Pittsburgh. The Chiefs would have liked to keep their Pro Bowl pass rusher around, but at a cap hit of $21.1 million and with Dee Ford now earning a franchise tag salary of more than $15 million, the 30-year-old will have to find a new home this offseason. Kansas City had engaged in trade talks with multiple teams regarding his availability, but no suitors emerged and the expensive pass rusher ended up getting released. The Bears running back was a Pro Bowler as a rookie, but only averaged 3.7 yards per carry in 2018. Now, he might be on the trading block heading into the final season of his rookie deal. ESPN reports the Bucs are shopping Jackson, who would prefer to get dealt to the team that drafted him: the Eagles. It’s also possible Tampa Bay cuts Jackson instead of trading him. In either situation, a return to receiver-needy Philadelphia is possible. The problem is that the trade market for Jackson reportedly isn’t strong and it may be in the Bucs’ best interest just to keep the receiver on the team. In the end, a trade back to Philadelphia turned out to be the best solution for each side. In February, the Browns signed Kareem Hunt (even though they didn’t have to). Despite Hunt facing a lengthy suspension, the Browns have a crowded running backs room, with 2018 rookie Nick Chubb and Duke Johnson. That leaves Johnson as the odd man out. He is reportedly being shopping and getting some interest from other teams, including the Eagles. Washington is reportedly finalizing a deal that will involve a swap of late-round selections in the 2020 NFL Draft for Keenum. Essentially, the Broncos will get nothing for the quarterback, but they will move most of the money owed to the passer off the books. Washington will get a cheap veteran to step in as the starter with Alex Smith expected to miss the 2019 season due to a broken leg. Miami’s bottoming-out in 2019 now likely includes trading away Quinn, a prized trade acquisition for the Dolphins just a year ago. Dallas could be his destination of choice; he was seen touring the Cowboys’ facilities March 19. Rosen is less than a year removed from being the 11th pick in the NFL Draft, but with new head coach Kliff Kingsbury entirely enamored with Kyler Murray, his time in Arizona may be short. He’s reportedly on the trading block, but it’s unclear just what the Cardinals can recoup for him after a rough rookie campaign as the centerpiece of a talent-starved offense. #Giants would explore a trade for Cardinals QB Josh Rosen if he is made available, per ESPN. Ross isn’t a free agent, but the player Cincinnati spent the ninth overall pick on in 2017 is reportedly available via trade. Two years ago, top WR prospect John Ross set fire to the Combine with his 40 time. Now, sources say the #Bengals are shopping their former first rounder. A fresh start would be welcome by both parties, sounds like. It’s unclear just what he’d command from other teams after recording only 21 receptions in his first two seasons as a pro. A fresh start could be a boon for the oft-injured deep threat, but nothing in his Bengals tenure suggests he’ll be able to live up to the lofty expectations of his first-round pedigree. The Bears have reportedly shown interest, while the Bengals are denying that they’re shopping Ross. The Dolphins kicked the tires on Teddy Bridgewater, and the Saints were expected to make a run at Tannehill. Source on the possibility of the Saints signing Ryan Tannehill: "No way." It didn’t end up mattering. Tannehill’s career in Miami is over, but he wasn’t released as expected. He was traded to the Titans to back up Marcus Mariota. Vernon was New York’s prized $85 million signing in 2016, but he may not see out the end of his contract with the club. The Giants were reportedly listening to trade offers on the impactful pass rusher in hopes of recouping the young assets that can lead a rebuild in northern New Jersey. In the end, they got a deal done with the Browns. In return, the Giants are getting guard Kevin Zeitler. 2019 NFL mock draft: There are some hard decisions to make during draft week After months of buildup, we’re close to getting some answers. The Celtics have logged on We have that and more in Monday’s NBA newsletter. Khris Davis’ batting average wizardry is even more impressive than you think Khris Davis hitting .247 for the fifth year in a row would be a incredible feat of both consistency and mathematics. This Article has a component height of 449. The sidebar size is long.